« Where does ERP failure really come from? Have you ever thought how “Bluetooth” got it’s name? This last weekend I took myself along to watch the new “Thor” movie entitled “The Dark World” I must say I like all things “Marvel” and especially with the medieval slants to the storylines. So how do I make the link to the Technology we call “Bluetooth”. Most normal people probably have not invested too much valuable time pondering the origins of the term “Bluetooth.” As it turns out, the ubiquitous wireless technology’s name has nothing to do with being blue or tooth like in appearance and has everything to do with medieval Scandinavia. Harald Blaatand (Son of Gorm old king of Denmark and nicknamed Bluetooth) was the Viking king of Denmark between 958 and 970. King Harald was famous for uniting parts of Denmark and Norway into one nation and converting the Danes to Christianity. So, what does a turn of the last millennium Viking king have to do with wireless communication? He was a uniter! In the mid 1990s, the wireless communication field needed some uniting. Numerous corporations were developing competing, non compatible standards. Many people saw this growing fragmentation as an impediment to widespread adoption of wireless. One such person was Jim Kardach, an Intel engineer working on wireless technologies. Kardach took on the role of a cross corporate mediator dedicated to bringing various companies together to develop an industry wide standard for low power, short-range radio connectivity. The various interested parties eventually came together to form the Bluetooth Special Interest Group, which developed the agreed upon standard we know and love today. “Bluetooth” was originally meant to be a placeholder, but the name had already taken off in the press and thus remains around today. The millennium old story doesn’t end there. 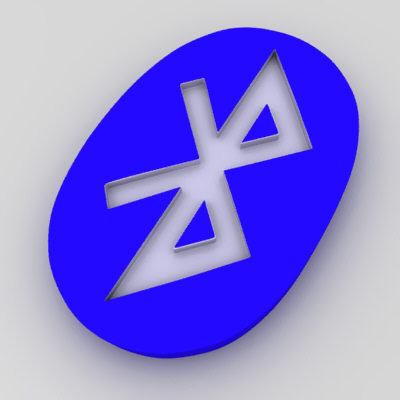 The Bluetooth logo that cryptic symbol in a blue oval printed on the box your phone came in is actually the initials of Harald Bluetooth written on Scandinavian runes. This entry was posted on November 19, 2013 at 7:51 am and is filed under Related to Supply Chain. You can follow any responses to this entry through the RSS 2.0 feed. You can leave a response, or trackback from your own site.